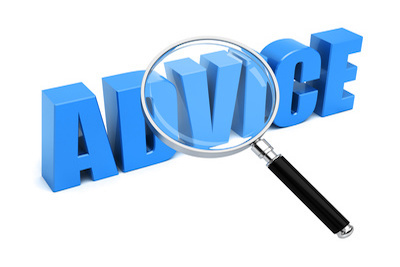 Many Cisco certifications and the related exams have the same kinds of challenges. Most all introduce a lot of new terms and concepts. Many require hands-on skills, so you have to figure out how to get access to gear, or simulators/emulators, to do it. They cost money, both for prep tools and for the exam attempts. And they are not typically easy – you don’t just read a book, memorize, and expect passing to be a formality. However, all paths into Cisco certifications start with either CCENT or CCNA, so preparation for those certs has some unique challenges. I’m not trying to make a list here, but two topics stand out. Below the fold, I’ll discuss those, as well as a plan I have for a series of blog post to help those new to Cisco Certs. If you want to get into Cisco certs, you start with either CCENT or CCNA. That means your first text may be the ICND1 exam (640-822 as of this post), or it may be the CCNA exam (640-802). 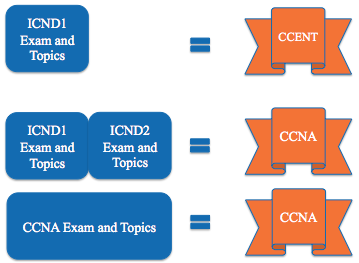 (Basically, you can pass the ICND1 exam, get a CCENT cert, and then pass the ICND2 exam to then get a CCNA cert; or, take/pass the CCNA exam, and go straight to CCNA. In short, the Cisco exams after the first one you take have a nice consistent baseline from where to start: the previous exam. These first Cisco exams do not have a common place to start. The second big hurdle, again because these will be your first Cisco exams, is the fear, uncertainty, and doubt (FUD) that exist just because you have not taken a Cisco exam before. You have not yet learned how Cisco thinks, how the exam environment works, how much/little to prepare. I have a plan for a new series of blog posts in this blog. I am hesitant to put a real title to the series yet, but I think we’ll at least try “The Cisco Cert Newbie Chronicles”. And while I’m not sure where it’ll end up, the big picture is to ponder the questions that complete newbies to Cisco have about Cisco certs. Then I’ll look at creating some meaningful short reads, with a place to have the occasional discussion. For instance, a lot of people want to know how long it will take to get a CCENT or CCNA cert. I’ve noticed more than a few of these over at the Cisco Learning Network (a great place to collaborate when studying Cisco, by the way.) More often than not, people answer with a number of months. I always think in terms of hours invested, because some people devote more, some less, during a typical week. So, just to get the ideas flowing, here’s a question for you: which path to CCNA do you think takes more time – more hours invested, regardless of the calendar – the 2-exam path or the 1-exam path? So I figured I’d get us started with a question to you folks about the questions. No matter where you are in your Cisco studies, feel free to join in. What questions do/did you have when first starting out? Not necessarily looking for all the answers, but just what did you wonder about. Or better yet, what had you wished you had wondered about before taking that first Cisco exam. Stay tuned. I’ll intersperse the usual technical content between these kinds of posts, but look for more on this thread in the coming months. Newbie Chronicles: Just Bought the Book - Now What? I have question about time on ICND1 exam, I will take exam in English, but English is not my native language. Will I have extra time or 90 min as I read on cisco.com? Can I use Tab to finish command, shortcut of command or I have to type the entire command? I don’t know on the non-English question; you’d have to trust Cisco on Cisco’s own exam policies. That said, if you’re just looking for confirmation from someone, try Cisco Learning Network, and search. I know I’ve seen your same question more than a few times – there are probably several threads with the answer over there. The following on the tab key is my opinion in just observing the real exams and what people say. The tab key works sometimes. Some people say it worked at their exam, some say not. The exam tutorial says it doesn’t. However, I would turn your question around: if you do not know the commands well enough so that you have to use the tab key to hunt for the right parameters, then you probably won’t be fast enough on the Sim questions. It’s worth the exam minutes to drill on command syntax as the day approaches. The ? key is another matter. If it didn’t work, then I Think that would be a serious impact to someone’s ability to do well. It’s one thing to type “sho in” and tab to see if “in” is enough. It’s another to type “sho ?” to see all the next parameters. ? is supposed to work. I found some answer for my questions on the Cisco Learning Network, some of them are confusing and some are good. I will try with exam next week. I would use the opportunity to thank you for writing this blog that helped me a lot to learn.